MIS and HPMS students are holding a school supply drive to donate much needed items to DISD's Ben Milam Elementary. 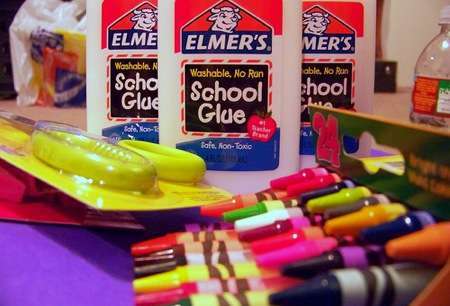 Items needed include pens, pencils, folders, markers and crayons. Each advisory teacher will be collecting donations, and the advisory class with the most supplies will receive an ice cream party. I easily filled up a plastic grocery bag full of extra supplies we had laying around our house - take a look. I bet you'll discover you have 5,000 markers and crayons you could part with too! Click HERE to view a list of the items needed. Contact Beth Haga hagamail@att.net or Dawn Perotti dperotti@sbcglobal.net for more details.